How to achieve the perfect sensitivity. Our Fortnite: Battle Royale mouse guide covers the best DPI and sensitivity settings for when it comes to optimising your mouse. Manage to find the sweet spot with your mouse settings and it'll not only improve your aim in Fornite: Battle Royale but it'll also lift your game in general. For someone who's unfamiliar with tweaking Windows, in-game and DPI settings it can be quite a daunting process though, as you've got quite a few things to think about when chasing the perfect mouse sensitivity. Fortnite: Battle Royale’s default sensitivity settings aren’t exactly ideal for developing decent aim either, as they’re simply too high. 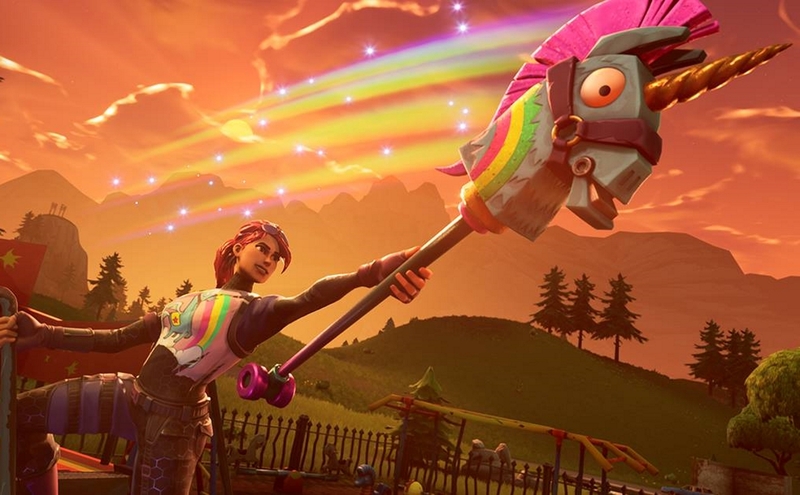 We imagine many players have stuck with the defaults, not really knowing whether it’s worth messing around in the menus and experimenting with a variety of sensitivities to find their sweet spot. It's not only the menus in-game either, as if you've got a mouse with adjustable DPI settings you'll be able to tweak these to best suit your playstyle and make aiming far more comfortable. To reduce all of the stress surrounding this, we've put together a step-by-step guide for optimising you mouse, and we'll be taking in the importance of disabling mouse acceleration, the impact of changing your DPI and ultimately finding a mouse sensitivity that works for you. Make sure you visit our main Fortnite: Battle Royale guide hub when you’re done here. It contains everything you need to know about the game, including tips and tactics to help you earn more Victory Royales. If you’ve never messed about with your mouse settings, there’s a good chance that you’ll have mouse acceleration turned on - and that’s something we’ll be changing before we doing anything else. Keeping it really simple, having mouse acceleration turned on will subtly alter the way your mouse behaves every time you swipe it across your mouse pad. It’s essentially Windows trying to help you achieve better pointer accuracy, but in doing so it ruins your chances of consistently hitting precision shots - ironic isn’t it? Turning it off will stop Windows tampering with your mouse and will mean that every mouse movement produces a consistent, reliable result. This will allow you to develop effective muscle memory as any inconsistency in your aim will be down to you, not the computer (sorry). Type “mouse settings” into your Windows search bar. Select “Change your mouse settings”. Select the “Pointer Options” tab. Uncheck the “Enhance Pointer Precision” box. DPI stands for Dots Per Inch, which means that a mouse set at 1000 DPI will move 1,000 pixels for every inch that you pass it across your mouse mat. When it comes down to shooters like Fortnite: Battle Royale, it’s wise to choose a DPI setting between 400-1000 DPI. It depends very much on your own personal preferences but anything higher than this may prove too sensitive for lining up those precision headshots with ease. Having a lower DPI setting means that you’ll need to move your mouse when shooting targets, while aiming with a higher DPI will only require small mouse adjustments to achieve the same goal. Personally, we find it easier to aim using a lower DPI as it allows us to deliver measured mouse movements with larger arm gestures. We recommend giving both options a try while shooting targets in-game, and seeing which sensitivity you prefer. Open up the settings menu and click on the “Game” tab to bring up all the sensitivity options. From here it’s a case of experimenting with different sensitivities and finding the perfect balance for you. Mouse Sensitivity - Governs your general mouse sensitivity when turning and firing from the hip. Mouse ADS Sensitivity - Your sensitivity when aiming down sights. Mouse Scope Sensitivity - Your sensitivity when scoped in. As a general rule of thumb, we recommend setting your general mouse sensitivity higher than your ADS and Scope options. This means it’ll be easier to turn and face opponents, while a lower aiming sensitivity will give you a better chance of actually hitting your targets.